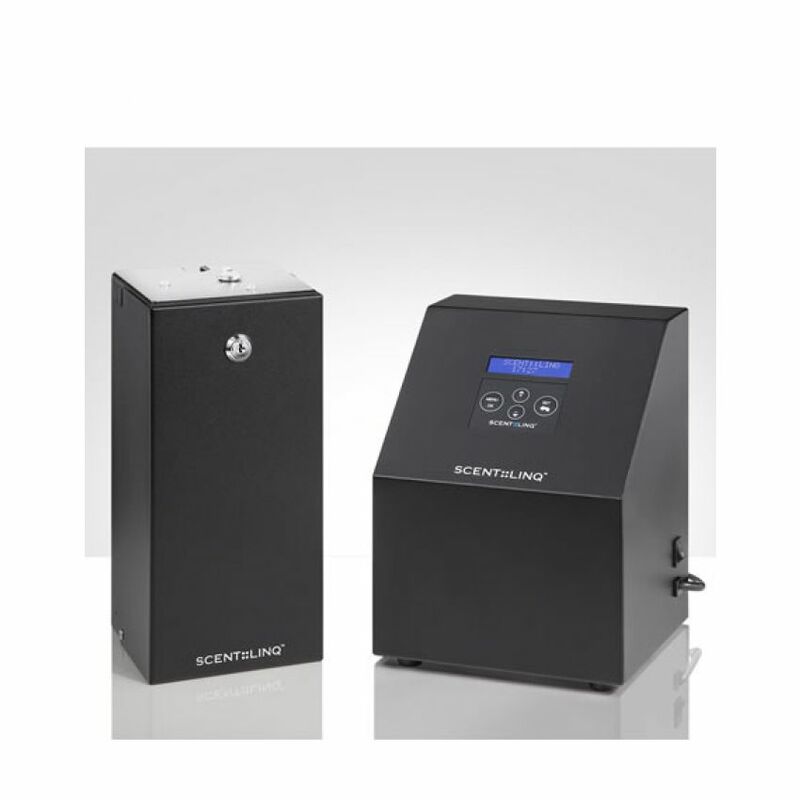 Categories: Odor, AirStreme™ Automated Misting Systems. 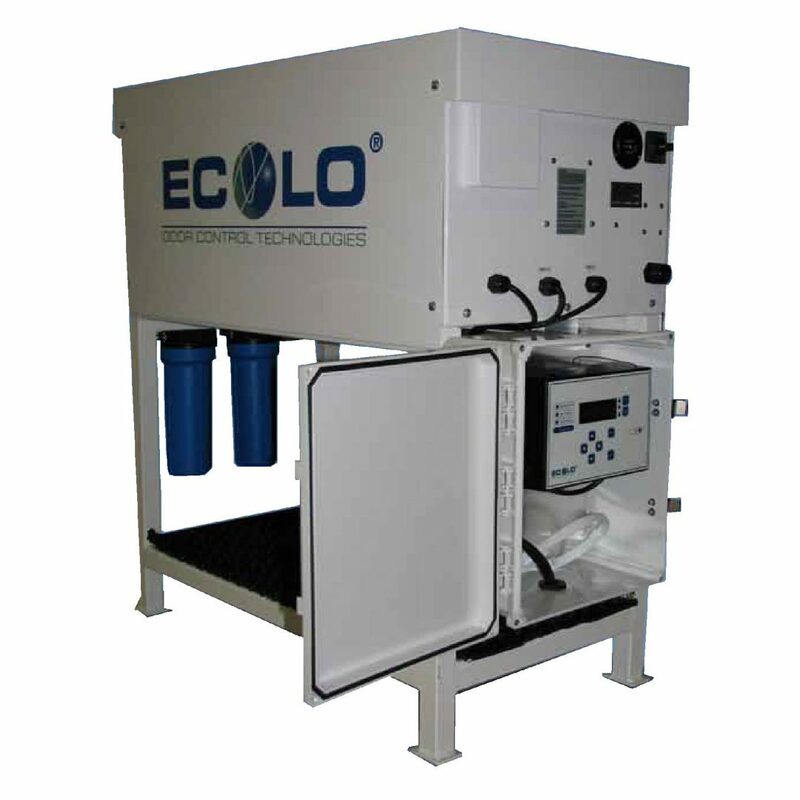 ECOLO’s AirStreme™ AHP System is equipped with mist pump designed for trouble free operation. The pulley driven mist pump is contained in a powder coated enclosure with an inlet solenoid valve, an adjustable pressure regulator with bypass, thermal relief valve, hour meter, glycerin filled pressure gauge and low water safety switch (safe operation of pump and eliminates premature seal failure by preventing pump from running without sufficient water supply). The highlight of AirStreme™ AHP System features ECOLO’s outdoor rated high pressure pump running on a low speed 4 pole motor for quieter operation. At low operation speed, the bare pump reduces noise and vibration while maintaining proper pressure and flow requirements of the unit. A single system is able to serve 100-200 nozzles around the clock with adequate water supply. 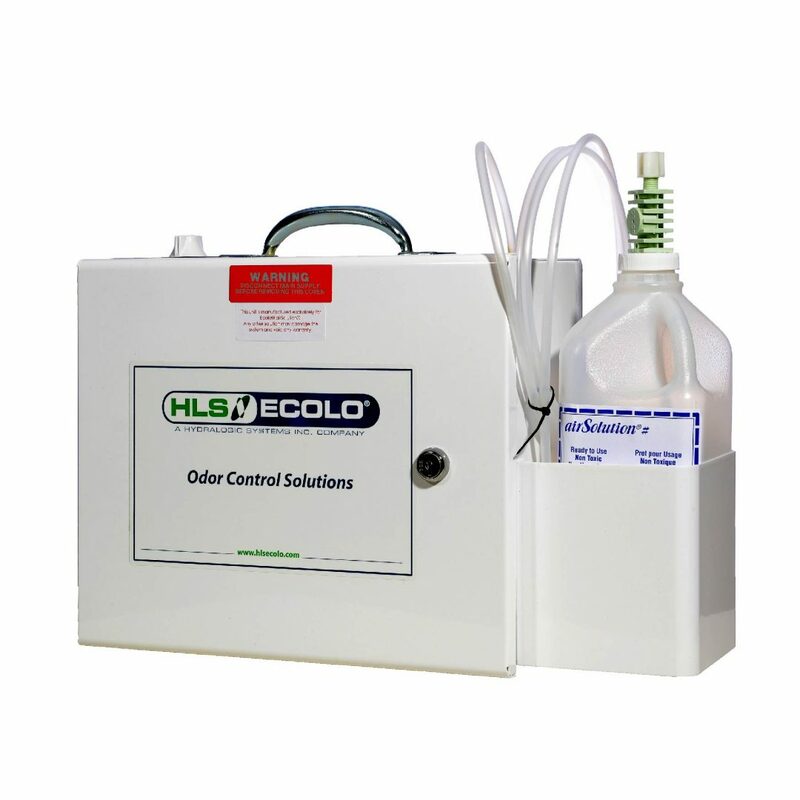 ECOLO’s AirStreme™ misting systems are perfect for a wide range of application from odor control, pest control, environmental cooling, dust suppression to humidification purposes.